Intersolar North America is North America’s most attended solar show, which will take place July 10-12 in the Moscone Center (West Hall) in San Francisco. The event’s exhibition and conference focus on photovoltaics, PV production technologies, smart renewable energy and solar thermal technologies. There will be 450 exhibitors and an expected 16,000 attendees. Intersolar North America is the industry’s source for valuable information and premier networking opportunities. This year’s sessions will highlight several key industry themes, such as Market and Policy, which includes policy changes and market outlooks. The Solar-plus-storage sessions will discuss unlocking financial value with technology, PV power plants—design, layout & operations, and more. Electrical energy storage will feature sessions on the economic and technology trends shaping energy storage, and the future developments in lithium battery technology, including the recycling and reuse of lithium batteries. Electric vehicle charging technologies and Infrastructure will be discussed highlighting EV battery durability and the advances of high-voltage batteries, as well as EV battery costs. Smart renewable energy will cover digitalization and cyber security, industrial micro and mini-grid concepts and technologies, and optimizing DERs on the grid. 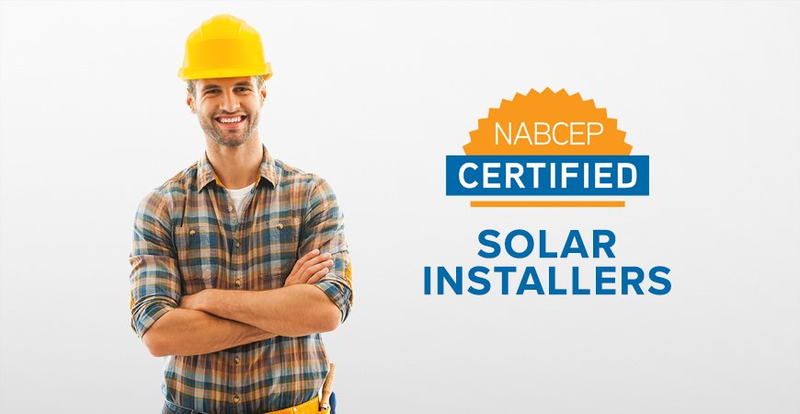 There will be special programs for installers and contractors with presentations from the Intersolar AWARD finalists; and a new exhibitor installation workshop offered in cooperation with NABCEP. The California Solar & Storage Association's Contractor Day, in partnership with lntersolar North America, is offering an all-day event intended particularly for the sales and installation teams of residential and commercial solar and storage installers. Important information from industry experts that impact contractors regarding the latest on energy storage, smart inverters, permitting, and rates will be covered. Let’s look at some of the exhibitors. Alion Energy provides trackers, kept clean to deliver the most energy. Their high efficiency ballasted foundations leverage local concrete and enable utility scale projects to be built faster on rolling, rocky and corrosive terrain. 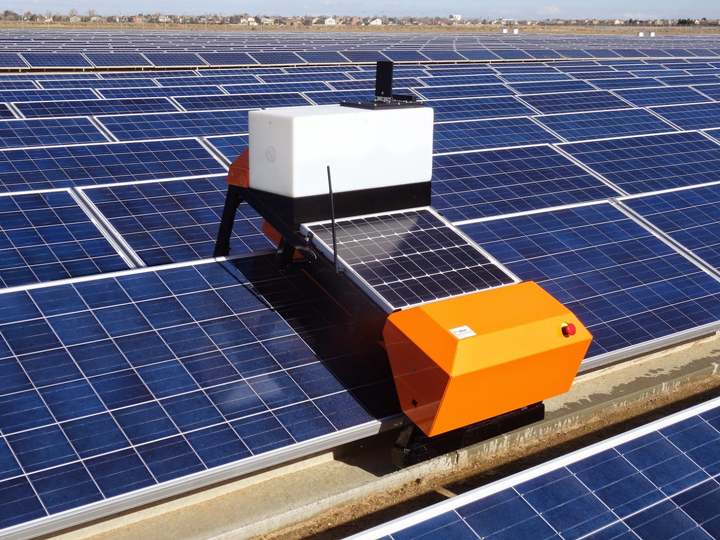 Their automated cleaning robots and albedo boosting solutions maximize both mono and bifacial PV module performance. Visit them in Booth # 9419. Burnham Nationwide’s BurnhamEYE is a site inspection and documentation app that allows for remote inspections of any site. 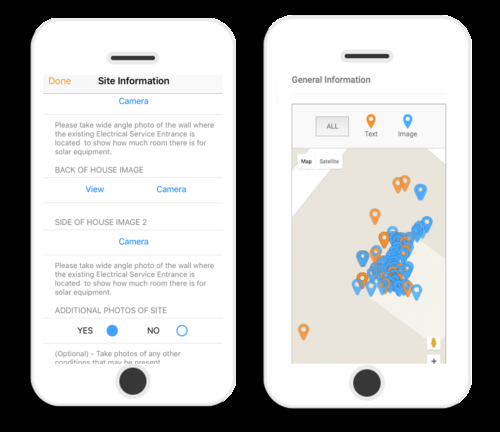 Their app directs an installer at the site to gather photos and information, which are then reviewed and held to industry standards and the National Electric Code. An installer will have a detailed and accurate report covering all aspects of a solar installation without a separate visit. This app saves time and money while building a portfolio of installations, showing the quality of workmanship to potential clients. Visit them in Booth 7241. CED Greentech is a solar equipment distributor. 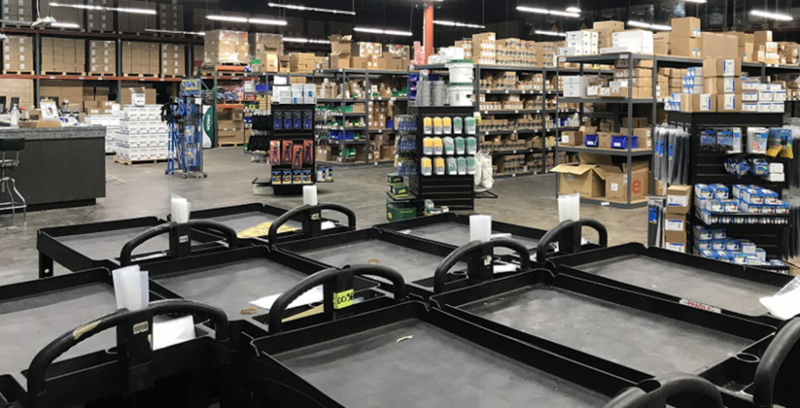 They are a part of the Consolidated Electrical Distributors Inc. family since 1957 with 40 locations nationwide and an extensive on-site inventory featuring products from the solar and electrical industry’s top manufacturers. Whether it’s a residential or commercial project, they provide the tools to design, finance, sell, and install solar PV and energy storage solutions in an efficient, cost-effective manner. They can be found in booth 7111. ECI Technology provides chemical management systems for the manufacture of advanced semiconductor devices, LED, and PhotoVoltaic products. As solar panel manufacturers ramp up production, they require a more precise control of essential processes to maintain high yields. 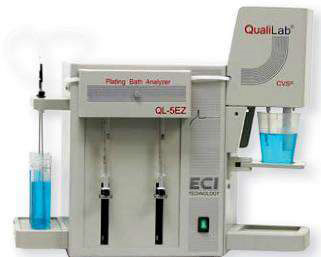 ECI has vast experience in chemical analysis and process control for the Semiconductor industry, regarding plating, texturing, single-side edge isolation, PSG Etch and more. Check them out at SH 1504. EEMB Battery is a professional lithium battery manufacturer and renewable solar energy storage system ESS & UPS solution provider since 1995. 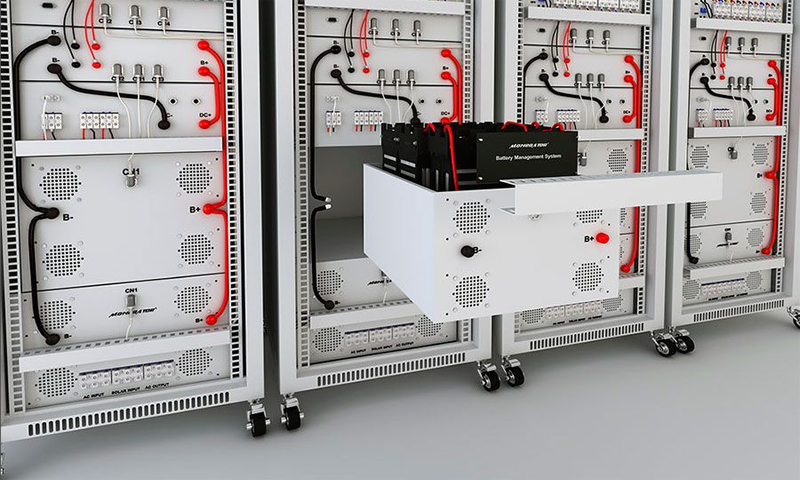 EEMB Battery offers premium battery products from as small as personal portable appliances up to medium and large-scale battery packs, modules and systems. The EEMB engineering team has carefully developed proper battery chemistry for better power efficiency, safety, reliability and longer life span. They are located in booth 8321. 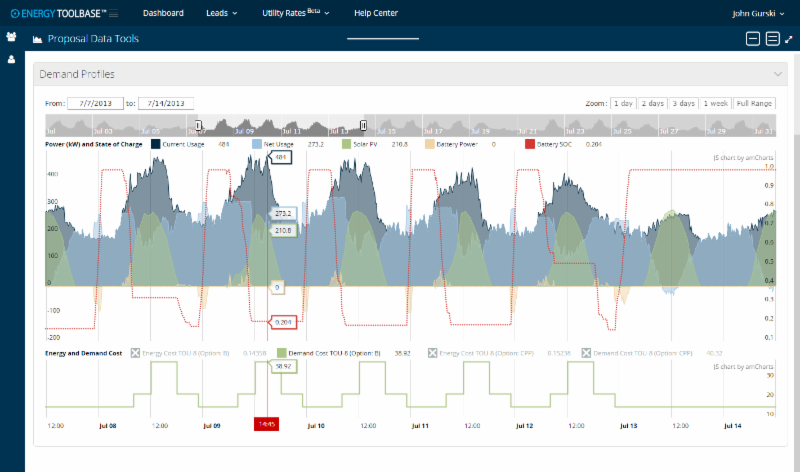 Energy Toolbase is a software platform for modeling and proposing the economics of solar PV and energy storage projects. Their SaaS product is used by more than 1,000 industry leading companies to accurately, objectively and transparently analyze their projects. Energy Toolbase was built by renewable energy developers for renewable energy developers. They have collective backgrounds in solar/storage project development, finance, policy and utility rate analysis. With constant updates rolling out, their software continues to stay relevant. Check them out in booth 8539. 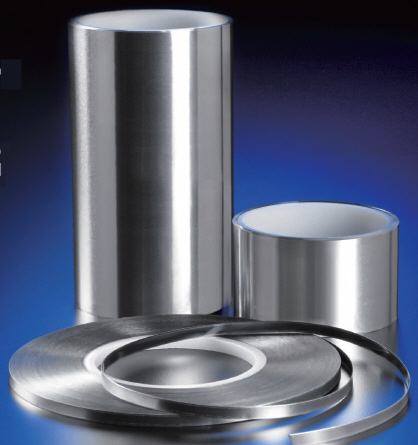 Hollaender Manufacturing is the U.S. market leader in structural slip-on fittings that are used in conjunction with pipe to form pipe rack mounting systems for roof and ground mount. The labor hours to install a pipe rack system are typically less than that required for a proprietary racking system; pipe rack mounting systems are also very forgiving of changes in ground or roof elevations. Hollaender fittings are available through a number of distributors. The cost and lead time of these components is often far less than proprietary, custom designed racking systems. There are engineering firms who can provide calculations and PE stamps for racking systems. Visit booth 9231. 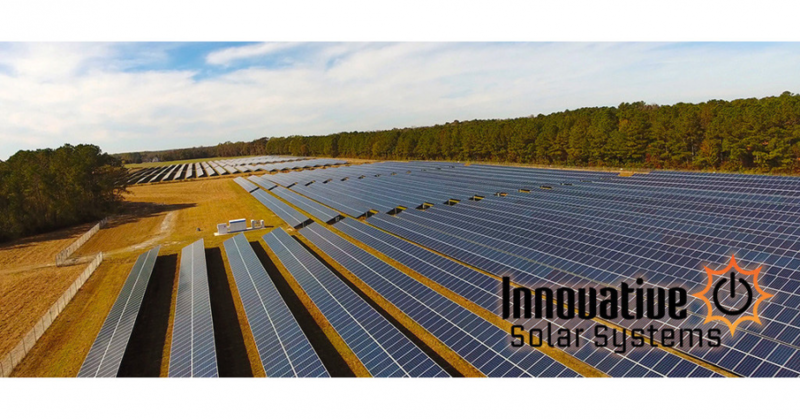 Innovative Solar Systems is a leading developer of utility scale solar farm projects in the U.S. with a yearly pipeline of approximately 200 projects (20MW-200MW in size) totaling over 10GW's per year. They provide a full range of services including site procurement, site analysis, engineering, design, turnkey installation, financing options and solar consulting services. They assist companies with financing on new solar systems and show clients how to obtain the maximum tax credits and incentives for renewable energy. See what they offer in booth 7019. Hanergy America provides turn-key development of solar projects and sells CIGS thin film solar products manufactured by other Hanergy subsidiaries for commercial, industrial and agricultural buildings, residences, government and schools, as well as mobile solar chargers and backpacks. It is the world’s largest thin film solar technology company with installed capacity over 6GW. Hanergy America works closely with clients enabling them to add flexible solar power to their products. Check them out in booth 7421. Ulbrich Solar Technologies manufactures PV Ribbon products that interconnect and transmit current for crystalline solar cells and thin film. 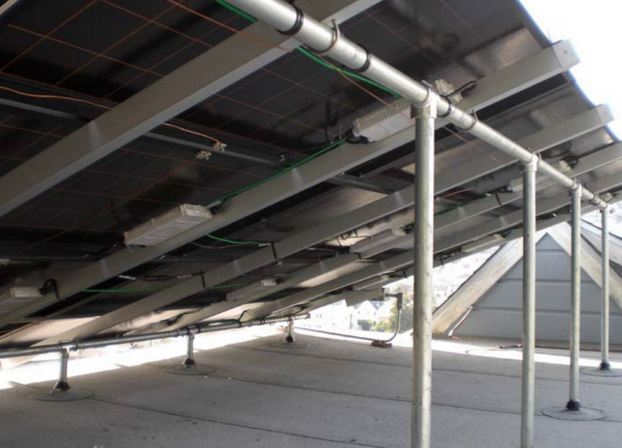 They supply the solar Industry with tinned flat copper wire and continue identifying emerging PV ribbon technologies and engineering innovative solutions to increase the electrical output and performance of solar modules. They have strategically placed manufacturing facilities around the globe to supply highly engineered and custom PV ribbon products. Check out booth 7525. 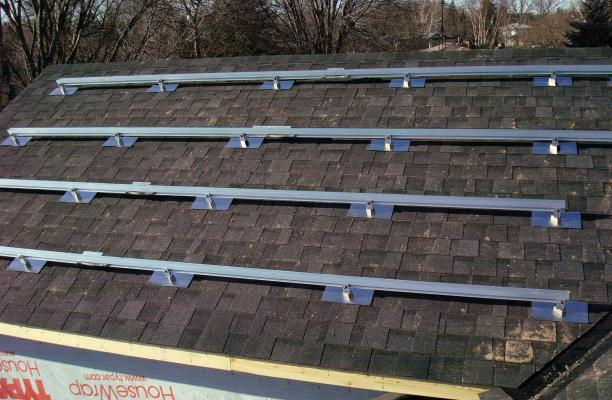 Quick Mount PV manufactures 100 percent code-compliant, waterproof solar mounting and racking systems for installing solar electric and solar hot water systems on residential and commercial rooftops, including comp/asphalt, metal shingle, slate and tile roofs. Visit them in booth 9119. EnergyBin.com is the leading B2B member-only, community and online marketplace for the renewable energy industry that provides centralized access to the most competitively priced renewable energy components and market intelligence. EnergyBin facilitates the brokering, movement, and commerce of new, excess, used, refurbished, and vintage renewable energy components and provides critical market intelligence. EnergyBin provides a centralized platform for access to the availability and pricing of components across the entire supply-chain. See them in booth 7238. Intersolar is your international platform for industry professionals and exhibitors from more than 80 countries, which are soon to be your future partners. The innovative power of the industry is on full display at every booth. With a conference, special exhibits, workshops and forums, the show program showcases energy industry trends and solutions that will transform the market. 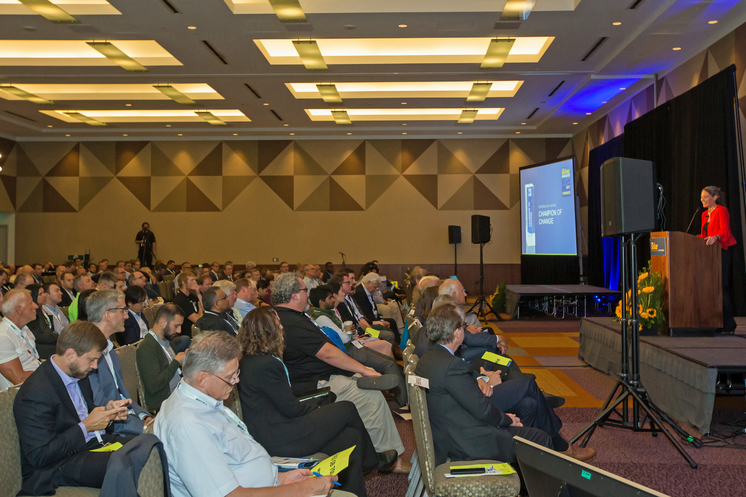 For 11 years, Intersolar North America has been the premier industry platform for manufacturers, suppliers, distributors, service providers and partners in the solar industry, shaping the future of energy supply. Don’t miss it.